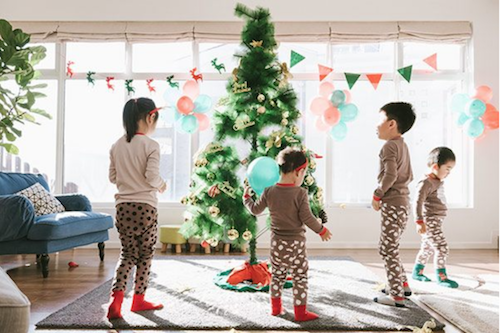 Lights, presents, parties: The holiday season may be a magical time of year, but the things that bring the magic can also present safety hazards. Fortunately, some smart strategies can help lay the foundation for a peaceful holiday season. Here's what to watch out for. Inspect the lights. 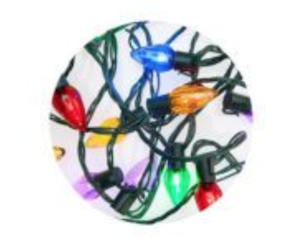 Check each string of lights for damage, such as frayed insulation, broken or corroded sockets, loose connections, or exposed bare wires. If you need to replace bulbs, use ones with the same voltage rating; this can help prevent overheating, melting, and fire. If anything looks amiss, replace the string with one that's UL- or ETL-listed. Do a test. If the strings look intact, test them for at least 15 minutes before hanging them up. Limit the daisy chain. Don't link more than three strings together as more can increase the risk of fire. Be safe with ladders. Ladder falls are responsible for hundreds of holiday decorating injuries every year (of which there were almost 15,000 in 2016). If you need to climb a ladder to hang lights outdoors, be sure the ladder is on a level surface and stay off of the top three steps. Hang ornaments strategically. Put breakable ornaments near the top, where kids and pets can't reach them. Be careful with some add-ons. Spun angel hair and spray-on snow can irritate skin, eyes, and lungs. Place the tree smartly. Don't set up the tree where it could block an exit. Anchor the tree. Make sure your tree stand is sturdy and wide enough to support your tree. Secure large trees to the walls or ceiling with thin guy-wires. Help prevent fires. 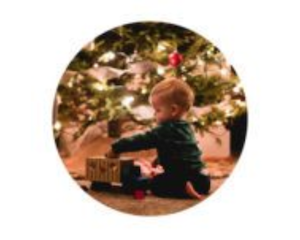 Christmas tree fires may be uncommon—about 200 per year—but they can be disastrous, according to the NFPA. One in four of those fires is caused by a tree that's too close to a heat source (fireplace, radiator, candle, or heat vent), so be sure to keep your tree at least three feet from any heat source. Also, flames can engulf a dry tree in seconds, so pick a fresh tree that doesn't drop needles when you pound the trunk at the lot. You should cut two inches off the bottom of the trunk, water the tree every day and dispose of it safely when it gets dry—either through a community recycling program or at your curb (check first to see if your local waste management department will take trees). Keep allergens outside. If anyone in your house suffers from asthma or allergies, use a leaf blower to remove pollen from the tree before you bring it inside your house. Then wipe down the trunk with a diluted bleach solution, suggests the Asthma and Allergy Foundation of America. Check before lighting. 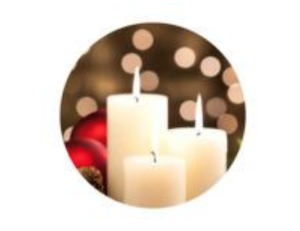 Be sure candles are mounted securely in non-flammable bases and set at least one foot away from anything flammable (like the Christmas tree). Monitor them. Don't leave lit wicks alone. Extinguish candles before leaving the house or going to bed. Do a checkup. Get your chimney checked and cleaned each year before using it. Clear the space. 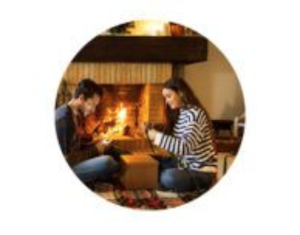 Before starting a fire, make sure the flue is open and remove all greenery or other decorations from the fireplace area. Protect the opening. Use a screen to help keep flying embers in and children and pets out. Don't toss wrapping paper in the fireplace—it can start flash fires. Don't underestimate what kids can get into. The CPSC recommends the following precautions to help keep them safe. Decorate right. 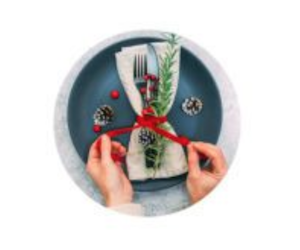 Avoid decorations that are sharp, heavy, or breakable. The same holds true for decorations that look like candy or food, which may be tempting enough for children to try to eat. Be wary of fire-related everything. Keep matches and lighters away from children. In addition to screening the fireplace, keep flame colorants like "fire salts" away from kids. They make pretty colored flames but can cause intense gastrointestinal irritation and vomiting if eaten. Check for toy recalls. Search the CPSC's recall list to learn about problems with anything on your shopping list. There were 28 toy recalls in 2017 alone; such recalls are typically for products that have been found to cause choking, have mechanical problems, or are potential fire hazards. Do an age check for toys. Be sure any toy you buy is recommended for the age of the child it's for. Add a helmet. Helmets are essential add-ons for gifts like bicycles, scooters, and skates. Non-motorized scooters account for the most toy-related injuries. Watch the parts. Keep high-powered magnets and button batteries away from small children, who may be tempted to eat them. Watch the plants. Keep poinsettias, mistletoe, and holly away from your cats and dogs, as these plants can cause gastrointestinal and cardiovascular problems if eaten. 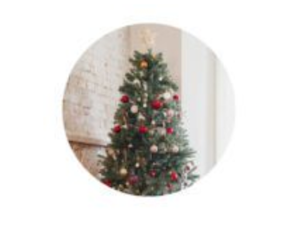 Pet-proof your tree. Anchor the tree well and skip the tinsel, which can wreak havoc on a pet's digestive tract. Elevate your food. 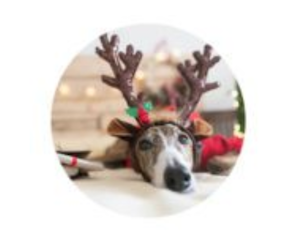 Keep tempting dishes and alcoholic beverages out of reach (or jumping distance) of curious pets and remind guests to do the same if you're entertaining. Be especially careful that pets don't ingest chocolate, anything sweetened with xylitol, fatty or spicy foods, and any food with bones. And always secure the garbage. Check porch lights. Make sure all lights are working. Declutter. Check hallways for any tripping hazards. Remember fire safety. Make sure smoke alarms are working, keep a fire extinguisher handy, and don't leave the stove unattended if you're cooking, says the NFPA. Food safety. Don't let perishable foods sit out for more than two hours to help avoid foodborne bacteria, advises the Food and Drug Administration. Communicate with guests. Make sure everyone has a designated driver or arrange for guests to use ride-sharing services to get home.